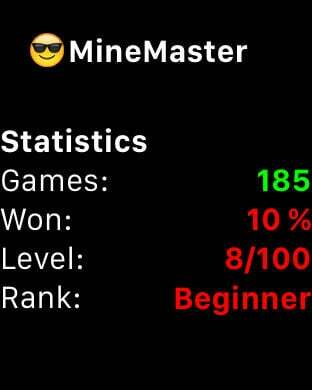 MineMaster brings the famous retro classic Minesweeper to both iPhone and AppleWatch. 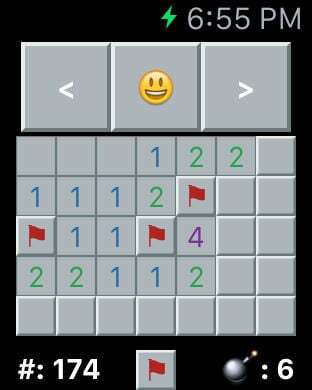 Solve the riddles by uncovering fields - but be careful a mine might be hiding under it. Adjust the diffculity according to your preference. On AppleWatch you have the ability to choose from two game modes. Level mode leads you on a journey of 99 maps with increasing challenges. 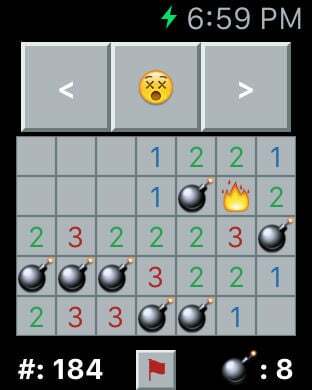 Single mode allows you to solve a quick game, ideal for a short wait. On iPhone try to beat the clock. 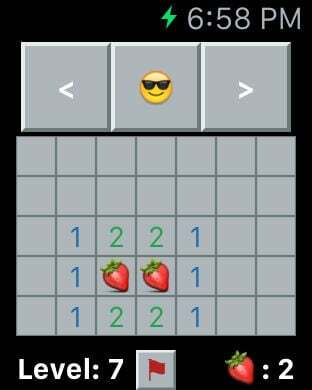 Finish the game as fast as possible, to gain a higher score. * NEW: Flag Function: Click the Flag Symbol to mark a field. 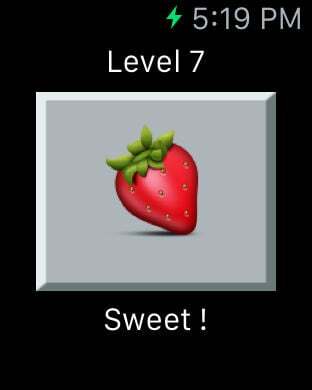 * NEW: HighScore Function: The iPhone Version now scores your performance. * NEW: Timer Function: Be as fast as possible.